When did it all begin? 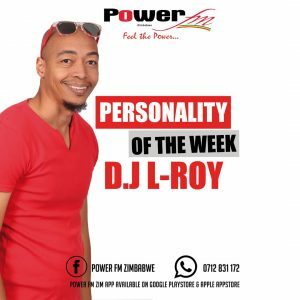 L-roy started to dj at the age of 16 years, doing school gigs, weddings, birthday and house parties, mentor being witness ‘the chu man’ matema (power fm). After completing his education, he got his first contract to provide p.a equipment and to dj at kadoma hotel and conference centre for three years where he got to hook up with dj storm and some of the biggest local radio dj’s zimbabwe had to offer such as peter johns, kudzi marudza, joe husain, davis the cool mo d’ mugadza, chaka d.
In 2004,l-roy came second out of 20 djs in the 1st biggest dj competition in zimbabwe, which was held by delta beverages in conjunction with coca cola southern africa, the sprite, dj turn it up to the max dj battle. In 2007 he did his first regional gigs and tour in south africa at club monsoon in kempton park and club moloko. In 2009 l-roy won the lion lager big 5 dj battle dubbing him the title zim’s number 1 dj, in the same year he joined forces with dee nosh to form d & l entertainment where they hosted sold out annual events with some of s.a’s top groups and djs such as liquid deep, dj waxy, oskido, cndo, dj clock, dj cleo, dj fisherman etc. In 2011, l-roy won the miller beer golden dj battle, hosted by delta beverages earning the title miller’s most valuable dj for 2011.in 2013 l-roy was given the privilege to dj at h.i.f.a (harare international festival arts) which was the biggest platform for him in his deejaying expedition. L-roy has also dejayed in between sets at annual events such as the castle tankard and concerts hosted by c&a entertainment for the following artists, sean kingston, elephant man, mr. Vegas and movado.l-roy has expanded his vision in entertainment by joining the state broadcaster z.b.c as a part time tv presenter making appearances on the youth tv program y.g.t, (young gifted & talented) on zbc tv 1 and joining power fm radio as a producer/ presenter of the power drive show, the top 40 chart show ,breakfast show & lunch time radio.l-roy is a member of serious djs africa with dj dude & south africa based dj leon and c.l.s entertainment and is also the 2014 food world dj battle champion which was held august 2nd 2014..he won the battle against 12 djs from around zimbabwe.in 2015 l-roy was nominated as number (96) in zimbabwe’s most influential under the age of 40 years, l-roy was selected to give out an award at the 2016 zima’s (zimbabwe music awards),l-roy was chosen to be a brand ambassador for ster-kinekor zimbabwe on the 23rd of september 2016 and was voted as the best hiphop radio presenter in the zim radio awards 2016.